World Ready is a group of initiatives designed to create better campaigns around the world through better transparency and participation. Those that participate on the Mozilla Project can be proud of the work that first enabled 24 localized versions to ship simultaneous with Firefox 1.0, and the fact that we have grown that to over 83+ localized versions in Firefox 4.0 through a lot of hard work and contribution from thousands of volunteers around the world. It is pretty well understood across the project in every area of work that that users and contributors around the world are a key factor in impact we have on the Mozilla Project. 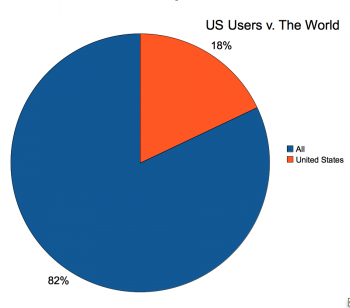 70% of Firefox users use non-English versions of Firefox, and more than 80% of Firefox users are outside of the United States. Even though we have made great progress in the localization process and simultaneous shipping of more localized versions, to more people around the world, that than any other software development organization there are still a lot of things we can do to improve. The "Mozilla World Ready" project is about creating greater awareness around localization issues, educating new participants to the project, and taking steps addressing these problems that limit our ability to reach and connect users around the world. Its about doing all the things that we currently do, but making things "world-ready" earlier in the development cycle to make them easier and faster to accomplish. Its about improving the quality of all our efforts across the world, in every locale, including en-US, and factoring in world wide sensibilities that will improve Firefox and the way we talk about our products and projects. We need to find ways for localization teams provide early feedback and to say "yes" early in development, rather than "no" late in the development. We need to move beyond the model of doing development work on products and marketing campaigns and then "throwing over the wall" to localization teams. In general, we need to not treat localization as an addition to projects, but an early and integral part of the development work. For example when on a tight schedules we need to avoid deferring consideration of localization issues and say 'we'll do l10n in phase 2. We are inventing all kinds of new technical terms in creating new features on the web and in browsers, and attempting a number of creative ways to spread the word about Mozilla and Firefox, so we need to use the most simple language that will provide the greatest widespread meaning for our users around the world. As in real estate where location, location, location are the three most important things, "context, context, context" is important for localizers to try and understand the feature or idea behind an engagement campaign. We need to think about, and document, workflows and apply an engineering discipline to creative work to find points where the localization peer review and global feedback can be injected. This includes improving the way we communicate information about feature names, marketing campaigns and all the content we produce. We need to find ways to 'test and evaluate' the global understandability of product names, features, and content we produce; and where possible communicate in terms that attempt to be widely understood without instruction. The feedback from this testing and evaluation will help us to simplify they way we communicate to all users around the world including those in English or have minimal technical skills. Other examples are to avoid idioms and use a core vocabulary of about 1500 words known as "Special English" plus any terms needed to describe product features or campaigns. 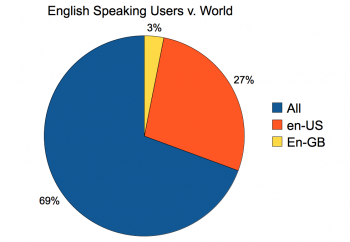 See http://en.wikipedia.org/wiki/Special_English , http://simple.wikipedia.org/wiki/BE_1500 and http://www.voanews.com/learningenglish/home/wordbook/ for examples that will help to simplify messages, make them more understandable to users, and help to speed it translation. When words are used beyond this special or basic lists its important to make those decisions consciously and provide rational or explanation that will help other to understand the intended meaning. Tips for writing and word choices that make localization easier and less costly in terms of time, effort, dollars, and translation quality. Watch out for use of acronyms, dates and times, units of measure, slang, graphics and illustration or names that can only represented in US, Latin, Anglo-Saxon familar forms. representation of gestures like thumbs up (ok, like, or task completed?) can also be problematic, or have a variety of unrelated meanings in some regions. Understand languages with challenges in using of future tense, and its affect how people might take current action in certain languages and regions. This is especially useful for UI elements of the broswer like the "panic button" where english "pushing the panic *will* delete your..." might get translated into the german "the panic button deletes your..."
We are creating new language and use metaphors to explain our technology to our users nearly every day. Be sure to give our localizers the information, insight, and time to do a good job and express the same creativity in their language. English generally allows and accepts this creativity (think about things like our urban dictionaries); other languages are much more restrictive and use is regulated. Its hard to serve both of these needs at times, but think about creative ways to accomplish that. This page was last modified on 22 August 2017, at 03:20.